RPS Hawk 250 Dirt Bike with 5-speed Manual Transmission and Electric/kick Start! Big 21"/18" Wheels! Free Shipping! Original Factory Package (FREE)Fully Assembled & PDI (+$199.95) What is fully assembled & PDI? •Limited Free! Free Expedited Processing! •Receive MCO on or before the date when shipment is delivered. •Other companies may have you wait for 2-3 weeks! Enter code "hawk$75off" at checkout to get $75.00 off. Today only! The Hawk 250 Enduro is produced by Hensim-Haosen, one of the leading manufacturers in China, with a superior engine, frame, and shocks. Quality performance at an affordable price. Comes with 'street legal' features, including mirrors and turn signals. 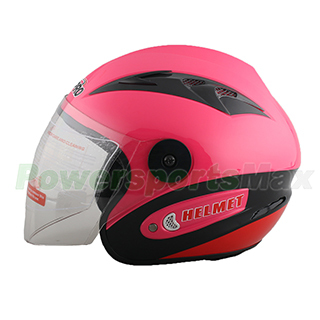 It has consistently received excellent customer reviews at ChinaRiders.net. FAST!! 229cc 4 Stroke, Force Air Cooled Engine. 5-Speed Manual TransmissionHeavy-duty clutch offers smooth, progressive engagement and smooth-shifting. Take fully control of your bike, Pro's best choice! Kick Start/ Electric Start, Electric start for easy starting well the kick start is being used as a back up plan in any unexpected situations. Front and Rear Hydraulic Disc brakes allows the bike to come to a faster stop than other brake systems do making it more safe to use. As any rider would tell you, power is nothing without good brakes. The high performance Hydraulic disc brake makes this bike an experts choice. CDI ignition system ensures dependable starting and puts out consistent spark at all RPM for optimal engine performance. Front 80/100-21 and Rear 110/100-18 Fat Tire, More Traction! Engine Kill Switch: An added kill switch safety feature on this bike provides the riders of all ages to cut off the engine anytime they desire, this is especially helpful and useful during an emergency situation. Body/Frame Built with a heavy duty steel body frame makes the bike sturdy and easy to handle. Strong Chain/Sprocket This die hard chain/sprocket on this beast is designed to endure the roughest and toughest of any off road terrain. Snail-type chain adjusters for easy maintenance. High Performance Exhaust A stylish high performance exhaust pipe included on this bike is design to enhance both performance and style to the bike! Wide and Comfort Foot Pegs: Wide, folding, self-cleaning foot pegs and brake pedal for secure footing. MX Style Seat: Motocross-style seat is relative low and comfortable, and allows maximum rider movement. Big Wheel, Huge Size at 82.3"(L) x36.2"(W) x 55.1"(H) provide the roomy and comfortable riding experience for the driver. 35.4 inches seat height and high quality seat padding ensure you a roomy and comfortable riding experience. 53.9 inches great Wheel-base, which provides great rider control and comfort. The Hawk/DB-W002 was designed for long-distance travel with low maintenance requirements. It is both durable and affordable, earning the nickname: ‘AK-47’. DB-W002 top selling dirt bike in US market is perfect for moderate to experienced riders, looking for an upgrade from a bike in a smaller engine class. The Hawk comes with 229cc engine provides an enormous amount of acceleration and top speed(up to 60MPH), but a larger degree of control due to its large frame. Despite its bulky appearance, this is a bike with a surprising nimbleness—it can handle sharp turns with ease, thanks to its front and rear Hydraulic brakes system, and has the acceleration you need to handle colossal jumps. Overall, if you’re looking to seriously enter the racing fray, or go for an extended offroad adventure, this a great bike to do those with. Not for the faint of heart or inexperienced, as the larger engine size offers a sizable learning curve to some, if used to a 125cc engine or smaller. Still, if you’re looking to take your bike game to the next level, this is the bike to do it with! Negligence and improper assembly will void warranty. If you are thinking to yourself, "I am not a mechanic", "I can't assemble this on my own" or If you do not want to deal with the hassles, we recommend you to choose our Fully Assembled - Ready to Ride Option. Bore * Stroke 2.64 x 2.56"
This model is not for sale in Pennsylvania, New Jersey. Shipping charge for one single unit of DB-W002 is Free (Please login to see real shipping charge for these states: Florida, New York, District of Columbia, Connecticut, Maine, Maryland, Massachusetts, Montana, New Hampshire, New Jersey, Pennsylvania, Rhode Island, Vermont, West Virginia, Delaware, etc.) , and you will get discounted shipping price if you order multiple item. 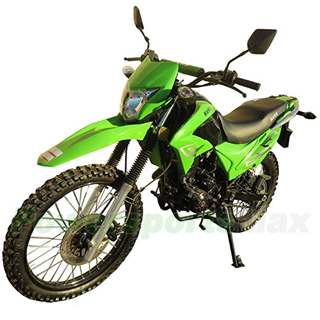 ATV-V004 Promax 125cc ATV with Automatic Transmission w/Reverse, Foot Brake, Remote Control! Big 19"/18"Tires! Big LED Lights! ATV-P003 125cc ATV with Automatic Transmission w/Reverse, LED Headlights, Big 19"/18"Tires! DB-W012 90cc PitBike with 3 speed Semi-Auto Transmission! Kick Start! 10" Wheels! DOT Motorcycle Off-Road Cross Helmet - Black Free Shipping! Free gloves with purchase! Great buy! very nice bike, got it fast, put together easy, me and my son love it, nice power, will buy another soon, thank you powersportsmax! Fun bike, head turner, rode it to the gas station up the street to put air in the tires and fill with gas, got lots of positive comment, TOTAL VALUE FOR THE PRICE NO LOCAL SHOPS BEAT IT!! put together in a few hours, Its everything i want in a bike great for the trail and smooth on the street, cant wait to register it!! Take your time putting it together when you get it and change the oil, you can kick start it while the battry charges. I am very impressed with the Hawk 250 ,great value for money , Also very pleased with the service from Powersports .. I would recommend the bike to anyone looking for a dual purpose bike. This is a great dual purpose bike, it was easy to assemble and fun to ride. You can't beat the price for this very nice bike! I would recommend this bike from PowersportsMax it is a great buy! You can't beat the price for such a good bike. I have put about 500 miles on the bike with no problems at all. I have ridden on mountain trails and byways it performs great at both! You can go wrong with the Hawk, I love it! I'm 71 years old and have owned many bikes in my time and this is up to par with other bikes I have owned! Awesome bike for the price! I've had mine for 2 years and it's a fun trail bike. I wouldn't be jumping with it it, but if you just want to get out into the woods for some trail riding, you cant beat the price. Parts are cheap and I haven't had a problem with it. I've even have a video of me riding on my local trails, I'll add it to this review. Great bike for the bucks!! I doubt anything available offers a better product at these prices. Service from PowersportsMax was fabulous! Bike arrived within a week and I had complete tracking all the way. In addition my months later request for all documentation needed for street registration/licensing was handled speedily with the most complete and professional responses even long after my money was in their collective 'pocket'. Finish assembly is easy and quick. Bike fired up as soon as I had it finished. All-in-all I couldn't ask for a better bike buying experience! had this bike about a month now and love it, it was pretty easy to put together but you need a good jack to get the front tire on unless you don't mind a few scratches laying it over on its side. it didn't come with assembly instruction though don't know where you would find them online, so having someone with knowledge of bikes would be wise for proper assembly. make sure you fill out the mso request as soon as you get it, i didn't know nothing about it and after a week of waiting for the paperwork to register it i called customer service, it took about two and a half weeks to send it so hopefully will register it soon. overall this is a fun bike to ride have taken it both on and off road, i way 255 lbs and have been able to do 60 mph up hill so imagine a lighter rider would go significantly faster. i would definitely recommend this bike to a friend. This is a very nice bike for the price. I got it together in 2 days and came perfect in crate except for a flat tire. I had to adjust idle and clutch cable and top off oil. Also, I had to put fluid in battery (came with it) and charge battery. I got a charger on amazon.com. insurance was cheap too. I added it to my scooter policy I also got on powersportsmax. Waiting for title so I can get tags and take a long ride when I get the flat fixed. Super fun and not too difficult to put together. The larger wheels make for a safer, smoother ride. I am very impressed with the Hawk 250 ,great value for money , Also very pleased with the service from Powersports .. I would recommend the bike to a ..
DB-J014 Coolster 125cc Dirt Bike with 4-Speed Manual Clutch and Kick Start! 14"/12" Wheels! 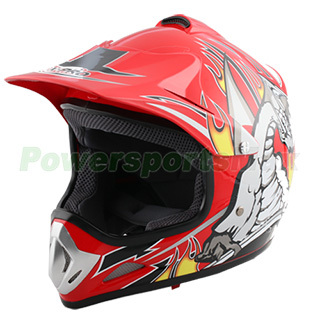 X-PRO® Youth Motocross Off-Road Helmet - Red Free Shipping! 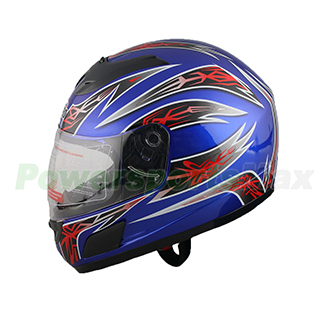 X-PRO® Motorcycle Full Face Helmet - Blue Free Shipping! 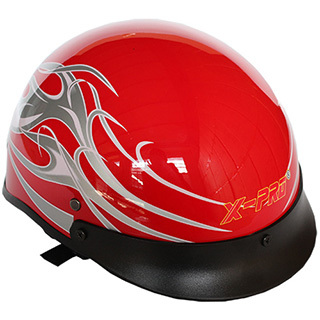 X-PRO® Black Motorcycle Half Helmet Biker- Black Free Shipping!